Shop for the latest laptops from the best brands on EMI, only with the Bajaj Finserv EMI Network. A laptop with a high processing speed and great graphics is a must for any professional today. Upgrade your old laptop for the latest model, and pay for it in easy EMIs, only on the Bajaj Finserv EMI Network. Choose from brands like Asus, Dell, Sony, HP, Lenovo, and Acer, at any of our partner stores across India, and convert the price of your brand-new laptop into affordable EMIs. Walk into a Bajaj Finserv partner store to buy a great laptop today. 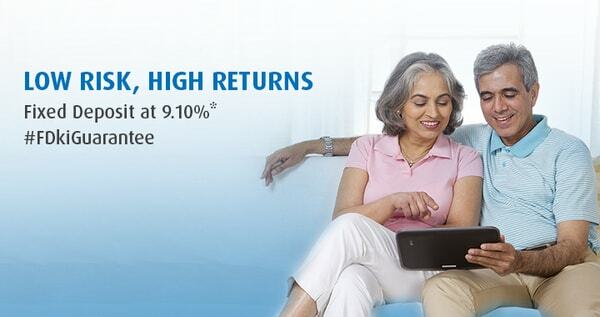 If you are between 21 and 60 years of age and if you have a regular source of income, you can shop for laptops on the Bajaj Finserv EMI Network. Starting at Rs. 749, processing fees vary from model to model of the laptop. How can I buy a laptop on EMI? You can buy a laptop on EMI with the Bajaj Finserv EMI Network. Avail a loan equivalent to the price of your favourite laptop and divide the amount into EMIs at no extra cost. Where in India can I avail laptops on EMI facility? Bajaj Finserv presently brings you laptops deals on the EMI Network in more than 1,300 cities around the country. To find out our partners in your city, visit the store locator section on this page. How can I avail a loan to buy laptops on EMI? Once you decide on the laptop that you wish to purchase, simply walk into any of our partner stores, contact our in-store representative and have them take you through the process of availing a Bajaj Finance laptop loan. If you already have an EMI Network Card, you only have to swipe it to avail financing. What are the features and benefits of buying laptops on EMI Finance? Read more about the features and benefits of getting laptops on finance here. Please check the documents required to avail laptop finance under the How it works section on this page. What is the interest payable on the laptops on the EMI Network? Buy a laptop on EMI without paying any extra cost. Your purchase amount is divided into monthly installments at no additional cost. Apart from the best laptop deals in India, Bajaj Finserv also brings you refrigerators, TVs, mobile phones, cameras, and more on the EMI Network. Find more about other products available on the Bajaj Finserv EMI Network below. Bajaj Finserv brings you easy financing to purchase laptops from brands such as Dell, Apple, Sony, Lenovo, HP, and Acer and more on easy EMIs. Shop online on your favourite e-commerce websites like Amazon and Flipkart or on the Bajaj Finserv EMI Store or visit any of our more than 60,000 partner stores across the 1,300+ cities in India. Shop at Reliance Digital, Poorvika, Horizon Computers, Croma, Sangeetha, and other stores and reach out to our representatives to learn more about offers from Bajaj Finance including No Cost EMI laptops today. Just share your basic details, divide the cost of your laptop into EMIs with your Bajaj Finance card for laptops and take home your favourite device. It’s really that simple. Looking for the best laptop offers online and offline? Think it. Done with Bajaj Finserv.